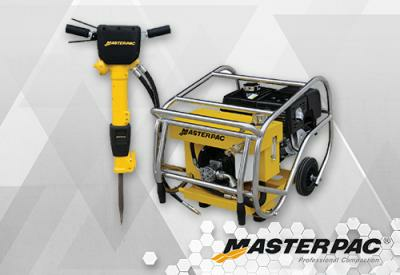 ﻿ Masterpac Compaction Equipments, peralatan pemadatan tanah terbaik di Indonesia. A fully hydraulic – drive system consists of hydraulic bump and hydraulic motors provides infinitely variable working speed for travel and vibration, eliminating regular maintenance and adjustments. 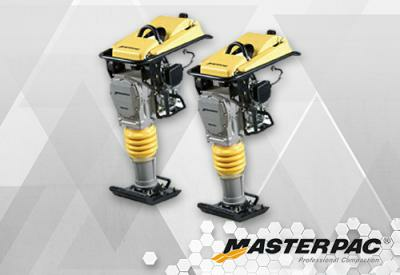 Perfectly balanced while delivering ideal compaction with controlled jumping motions. German manufactured polyurethane ribbed bellow for long life. Reliable four stroke engine delivers low emission and noise. Reverse travel safety protection ensure the plate automatically reverts to slow forward travel if the operator releases the travel control lever while reversing. Masterpac with lifting eye protect against dirt and damaging. Low vibration handle mechanism, reducing the risk of HAVS. Progressive starting "feathering" action allows the user to accurately place the tool and mark out before engaging full power. 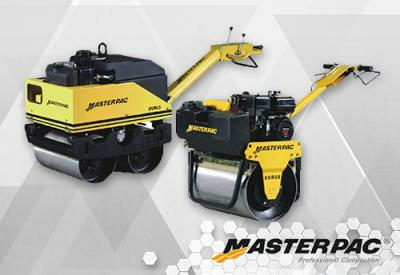 MASTERPAC has over 10 years of experience in manufacturing Light Construction Equipment:Rammers, forward and reversible vibrating plates, walk-behind rollers, poker vibrators, power trowels, vibrating screeds, concrete saws. Our international engineering and sales professionals teams partner with a network of dealers, all customer-oriented, with a strong focus on product reliability, performance and competitiveness. With a solid basis for worldwide growth, MASTERPAC is constantly strengthening its worldwide sales organization to serve end-customers with a high level of reactivity and flexibility. 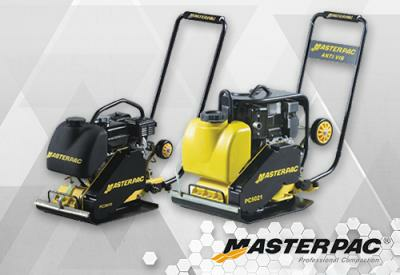 MASTERPAC is one of the most “easy-to-do business with” and reliable companies in the industry.